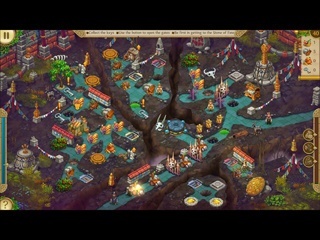 Alicia Quatermain and the Stone of Fate CE Game - Download and Play Free Version! Start a brand new adventure with Alicia Quatermain! Alicia Quatermain, the granddaughter of the famous traveler Alan Quatermain, is starting out in the jungles of India in quest of a powerful artifact. As the legend says, the Stone of Fate grants the mighty power to its owner. 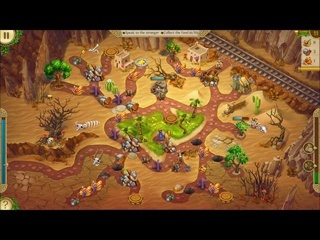 In order to obtain the artifact, Alicia has to get around the Secret Organization members, hijack their aircraft, overcome avalanches using the dogpulled sled, put out fires, extract water in deserts, avoid a lot of traps, find and explore a mysterious town amongst the Tibetan mountains, make the monk speak bound by the vow of silence, save tiger cubs and complete a lot of other difficult tasks...whew! That was a mouthful! Will Alicia live up to the Quatermain name and overcome all the obstacles and hindrances on her way? What is the real essence of the Stone of Fate? 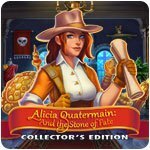 You'll find answers to all these questions by playing Alicia Quatermain and the Stone of Fate Collector's Edition!